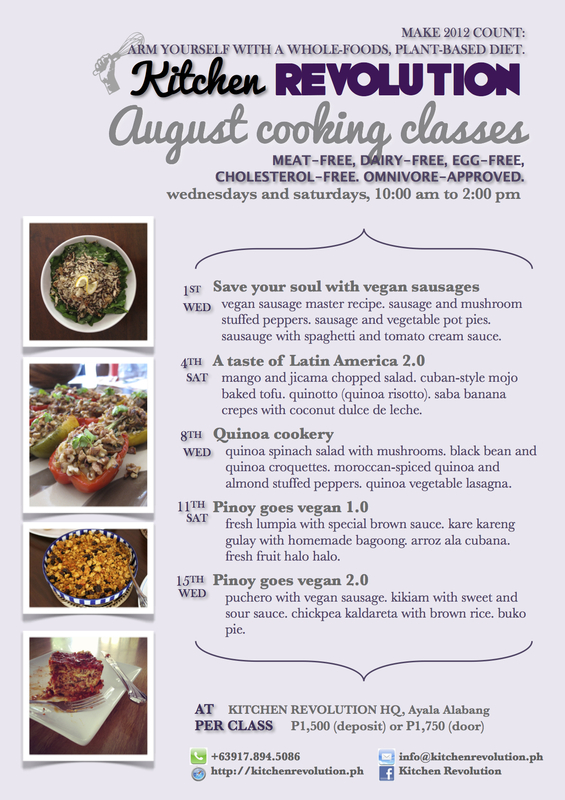 Catch 5 amazing cooking classes this August! I’m bringing back my popular do-it-yourself Sausage class on the 1st (Wednesday), Latin-inspired cooking on the 4th (Saturday), a repeat of the refreshing Quinoa class on the 8th (Wednesday), and vegan twists to Filipino food on the 11th (Saturday) and 15th (Wednesday). After August 15th, we go on holiday break. September classes will start on September 15th. General information on classes here. Cancellation policy on classes here. Photos of past cooking classes here.